Latitude21Resorts.com provides a safe place to list and find vacation rentals online. Find timeshares, vacation homes, and rooms for rent in Hawaii, Mexico and the Caribbean. Latitude21Resorts is here to help vacationers discover unique experiences across the greatest possible climate and scenery in the world! What do Hawaii, Mexico, and the Caribbean have in common; besides the world’s most beautiful beaches, year round great weather, and a laidback approach toward life? They actually share a common region of the globe: the Latitude 21. All of the ingredients for the ideal vacation destination come together along this unique latitude: great beaches, tropical jungles, picture perfect climates, interesting histories, and warm & friendly cultures. Find the perfect timeshare to suit your travel needs and lifestyle. Life is better here. Latitude21Resorts is a niche marketing company dedicated to the most beautiful destinations in the world: Hawaii, Mexico and the Caribbean. Between our dedicated Search Engine Optimization team that works to drive online traffic to our advertisements, to our broker contacts, to our email blasts, to our many call campaigns, Latitude21Resorts works harder than the competition when it comes to renting out your property. Why advertise your property for rent at a generic, non-location specific, advertising site when you can list with a company dedicated to the location you own in? Have your vacation property work for you, advertise with Latitude21Resorts and rest assured that your property advertisement will receive the attention of people looking to vacation where your property is actually located! Global reach, sophisticated search algorithms, interactive map searching, customized placement, email blasts, broker leads, professionally designed website, search engine optimization & marketing, and excellent rental earnings! Join the best site for rentals in Hawaii, Mexico & the Caribbean. Latitude21Resorts is expanding its reach globally through the world wide web. There is currently over 3 billion people using search engines online to find what they are looking for. What better way to connect owners with vacationers than by using the full power of the internet? Enjoy our easy to use search via our interactive map. This feature makes it simple for vacationers to find exactly what they need. Search by name, location, unit size, and even price. Latitude21Resorts provides customized placement and marketing that is specific to your type of ownership. Not every vacation property is the same: whether a vacationer is looking for large accommodations in a family friendly environment or a smaller unit for some fun in the sun during spring break, we connect vacationers and owners to create the perfect match. Our email blasts and focused campaigns match traveler needs with the characteristics of our members’ inventory. actively markets through email blast campaigns to brokers and opt-in leads alike in order to generate more traffic, giving our owners the best likelihood of renting their units in a timely fashion. 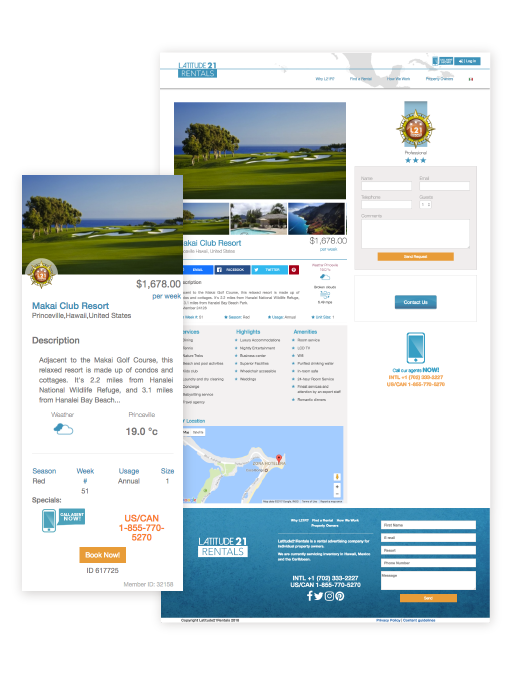 Latitude21Resorts Search Engine Optimization team ensures that we are matching travelers to their dream vacation rentals through sophisticated search algorithms, organic content, and pay-per-click campaigns across all of the web’s top search engines. Use detailed descriptions and high resolution imagery to promote your property. Enhance your listing with a map pinpointing your property and surrounding attractions. 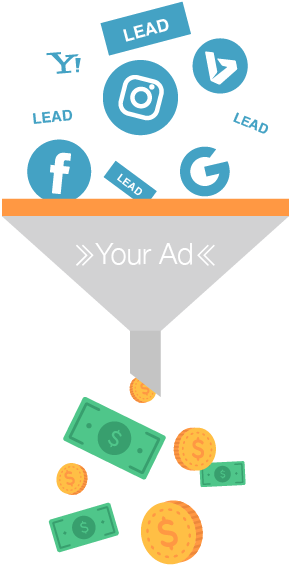 Receive incredible exposure with billions of searchers online. Utilize high resolutions imagery to further entice renters. Listing flexibility (timeshare, condos, apts, homes, rooms). Our messaging system allows easy communication between owners and renters. 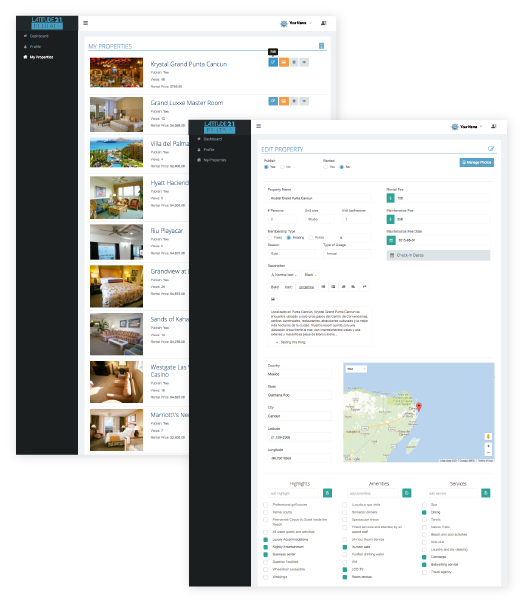 With our dashboard you can manage all aspects of your listing. Utilize our calendar to manage your property's availability. Upload photos to showcase your property to travelers. Create a property description highlighting what makes your rental special. Receive live tracking of rentals (updates, notifications, etc...). You have complete control over your rental property (approve and/or decline all offers). You determine who stays at your rental property and how payment is received. You receive messages and updates through the dashboard from guests and Latitude21Resorts staff. Connect with our rental experts. Get in touch with our rental experts anytime. Receive expert advice whenever you have questions about your ad or potential renter. Generate reports on the dashboard to easily evaluate your ad. Let our rental experts design your ad. Professional Rental Management Services (reservations & processing). Our rental experts available to negotiate with your renters. To provide the world’s best platform to connect the owners of vacation real estate in resort destinations along Latitude 21 with the travelers who have yet to discover their own piece of paradise. In so doing we will achieve our vision to contribute to growing the economies of the people who live along Latitude 21, thereby provide individual property owners with an opportunity to achieve new levels of economic prosperity. We believe that we can encourage additional investments in real estate in these destinations which will greatly increase local economic activity, create more opportunities for all the people that live there, and help to diversify the ownership of local resources. If you own a private home, condominium, fractional ownership, traditional timeshare, or vacation property in Hawaii, Mexico or the Caribbean, then we can help you rent it! After all doesn't everyone deserve the opportunity to discover why life is better here?